"Ollie Dog, we love you" painted at the Hookipa pillbox 5/29/16.. 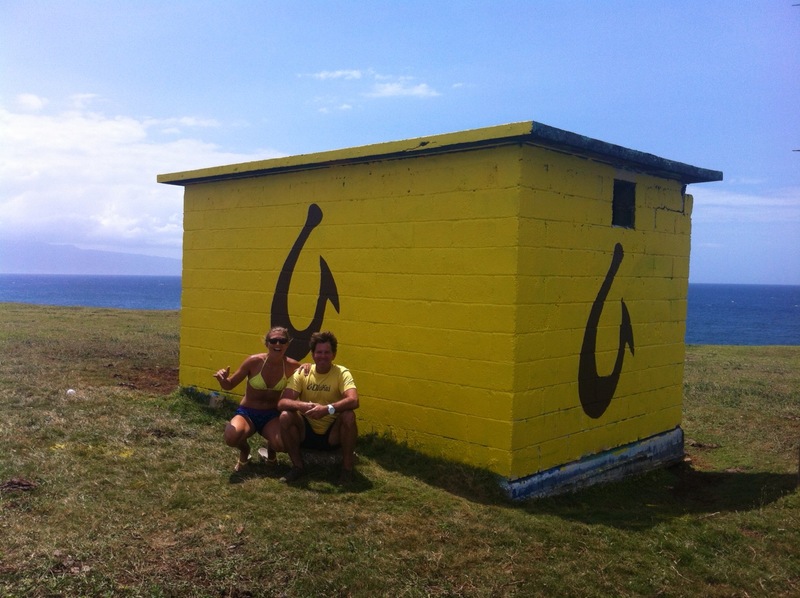 This photo shows the Olukai event logo painted at the Hookipa pillbox or bunker around May 2014. The annual event includes a sports competition for stand up paddling and outrigger canoe, held at Hookipa Beach Park, just down the road. Photo credit: Maui No Ka Oi magazine, which also has a fun article about the pillbox. Protest about the Olukai event. I think kukai "koo ki" (rhymes with "eye") means poop in Hawaiian. Why would someone protest the event? Because they didn't win the year before, because they dislike the sponsors, because they think it was rigged or bogus? What do you think?